Kilverm is a wormer for Birds. It is a powerful anti-wormer that is effective against sensitive strains. They are made specifically for poultry animals such as chickens, turkeys, emus, fowl, quail and other similar breeds. It consists of Levamisole and Levamisole Hydrochloride that prevents infestation of large roundworms. 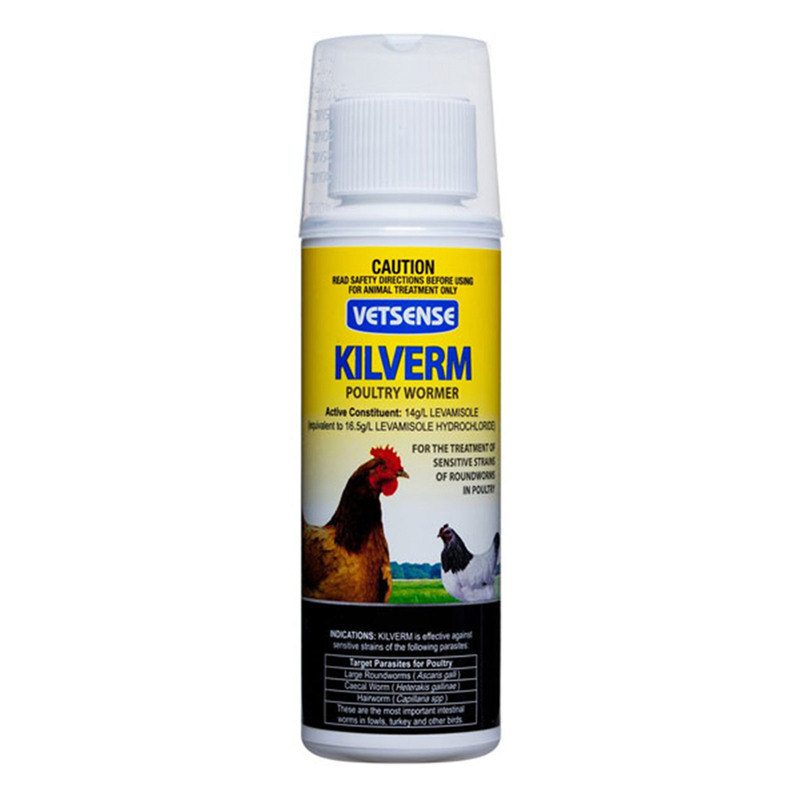 Kilverm is also very effective on Caecal worms and hairworms. This product is contraindicated in extremely hot weather. Mix with clean drinking water. Mix 40mL/litre water for 1 day. Repeat 2 weeks later. Dilute 10mL of VETSENSE KILVERM in 200mL of water for each 6kg live weight. For maximum efficiency it must be consumed in the shortest time possible. Withhold water from birds 2 hours before nightfall. The required amount of medicated water is then made available so that the birds can start drinking it at daylight. Replace with clean water after 8 hours or when medication is consumed. Birds under continuous light should be treated by withholding water for 2 hours then giving medicated water. Mix solution preferably with water.